Click here to read the initial project proposal. 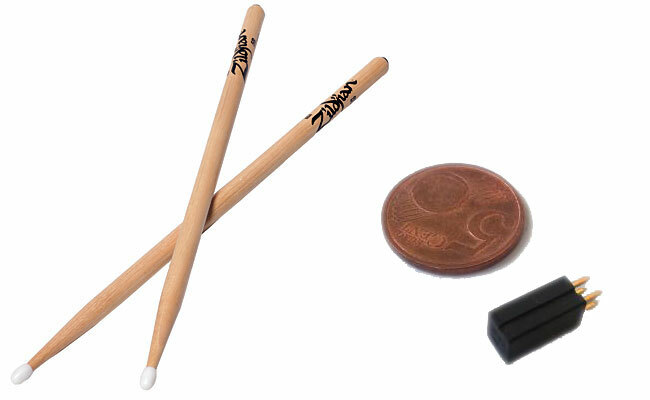 I experimented with the Arduino using a ball-tilt switch to create my drumsticks. I performed an initial test by wiring the tilt switch directly to the breadboard. 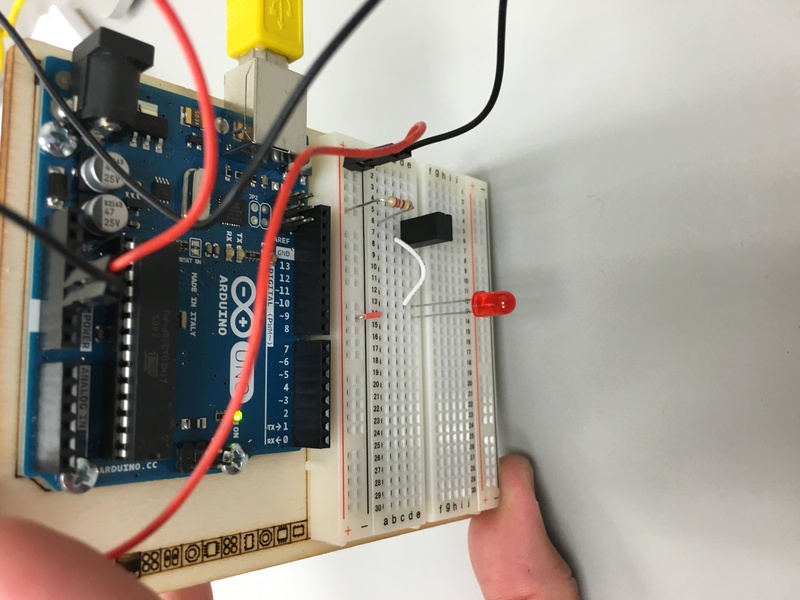 Upon turning the Arduino and breadboard sideways, I could turn an LED on and off. 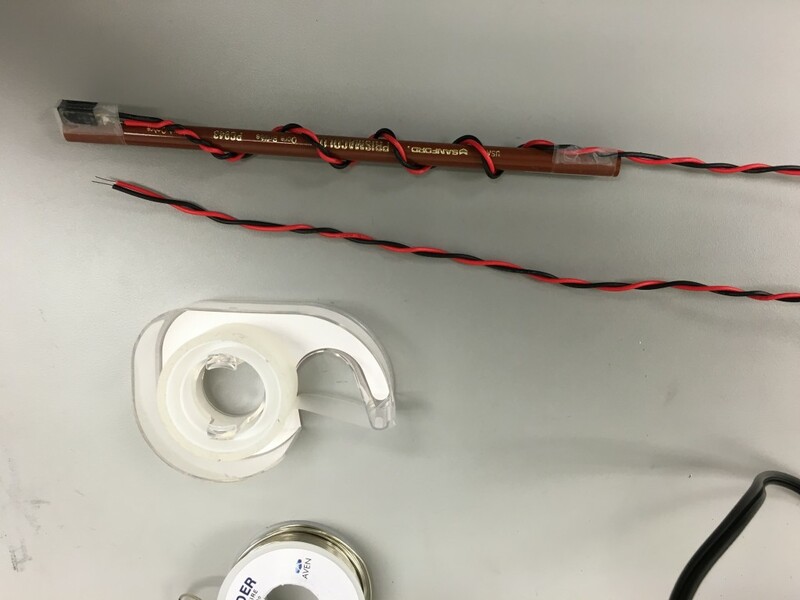 For a more durable interface, I decided to solder the tilt switch to long lead wires and taped them to art pencils to act as the drum sticks. First test using the drumsticks. I can tell that the concept is working, but it is somewhat difficult to accurately activate the tilt switch unless a precise motion is used. I believe this is due to my tilt switches having 4 posts, so when I order additional switches from Amazon, I plan to order tilt switches with only 2 posts. Click here to continue to Part 2 of this project. David Rokeby claims that the technology we use reflects back to us like a mirror. This is what makes technology interactive and can give us a sense of self-image. He believes that technology as a mirror can be a form of self expression. For example, artists can try to instill interaction into the context of their art by providing a “blank canvas” or “looking glass” for the spectator to reflect upon. When we are presented with a blank canvas, we have a natural curiosity to want to fill that canvas. He also states that interaction can be added through navigable structures, creative mediums, transforming mirrors and automation. In my personal work, I feel that it is a combination of these factors that makes my artwork more interactive, with navigation being the most important for me. I find that intuitive navigation is what draws the user or spectator into the work. When the navigational structures are too difficult to use or understand, the user is likely to lose interest in the work and give up. This week we built our own zoetrope animation devices. The spinning device has slits in the side and a sequence of images can be seen through the slits. Because of persistence of vision (POV) our eyes believe that the image appears to be moving. 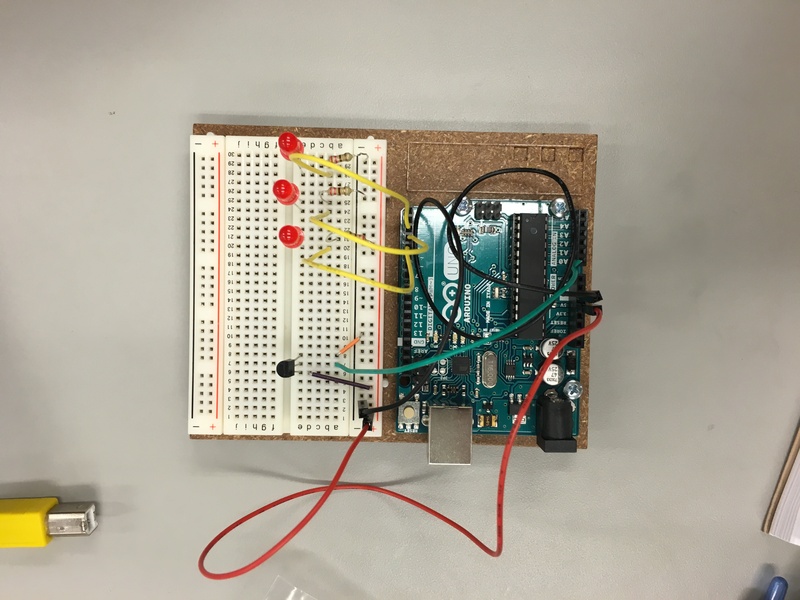 First we added two switches to the breadboard, one to control on and off, and the other to change directions. 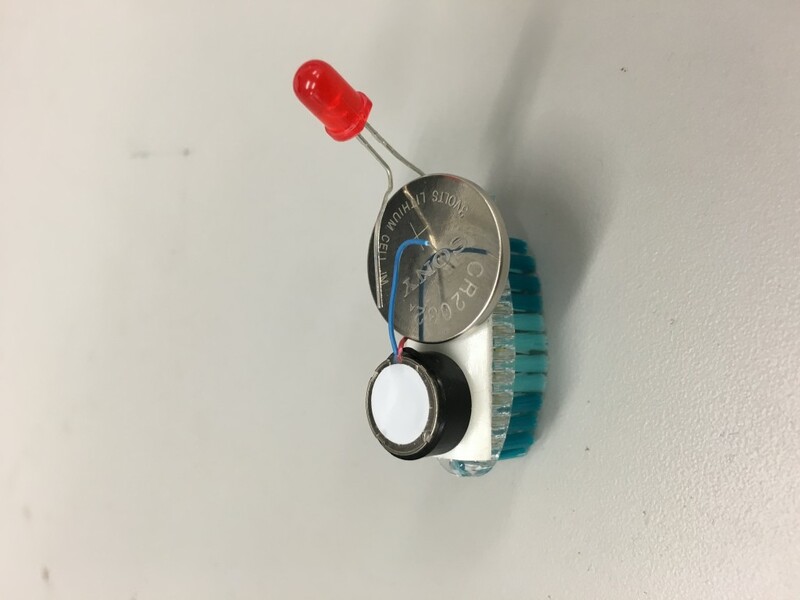 We also added a potentiometer to control the speed of the motor. 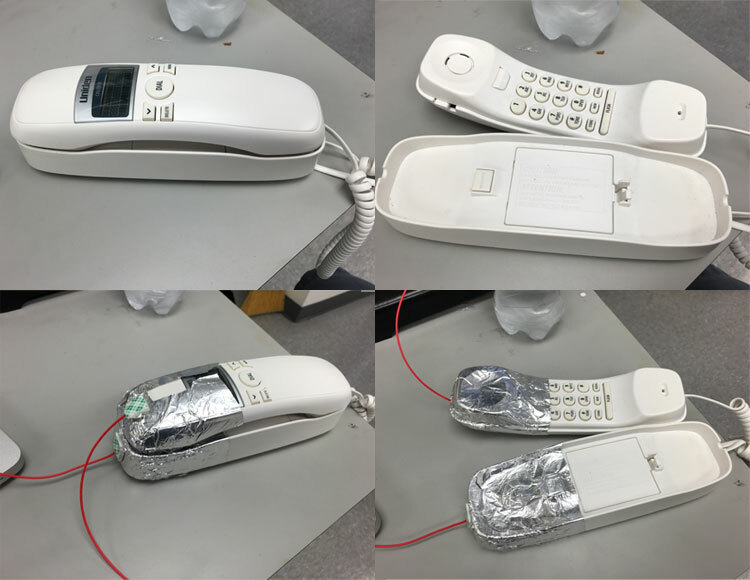 This was all achieved using the H-bridge integrated circuit that came with our kit. 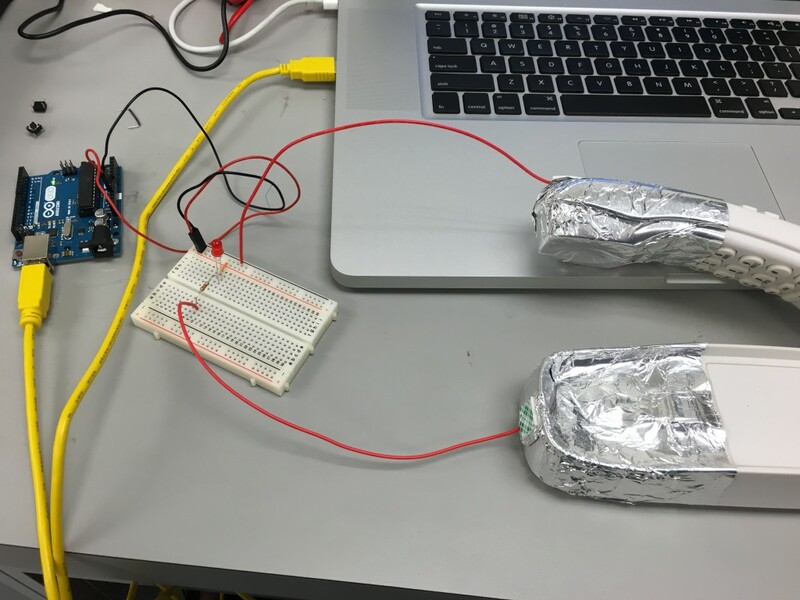 We attached our motor and a 9 volt battery to our breadboard. 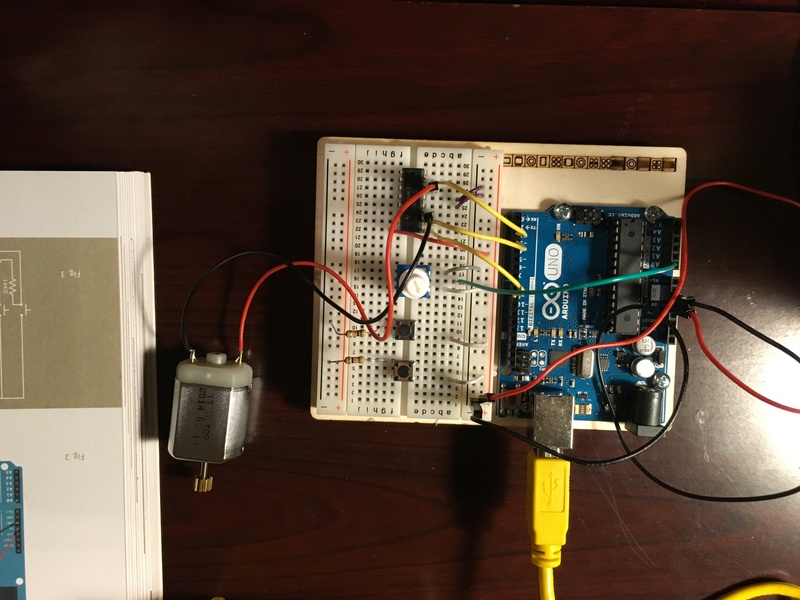 The battery is responsible for powering our DC motor, while the Arduino powers the switches and H-bridge. 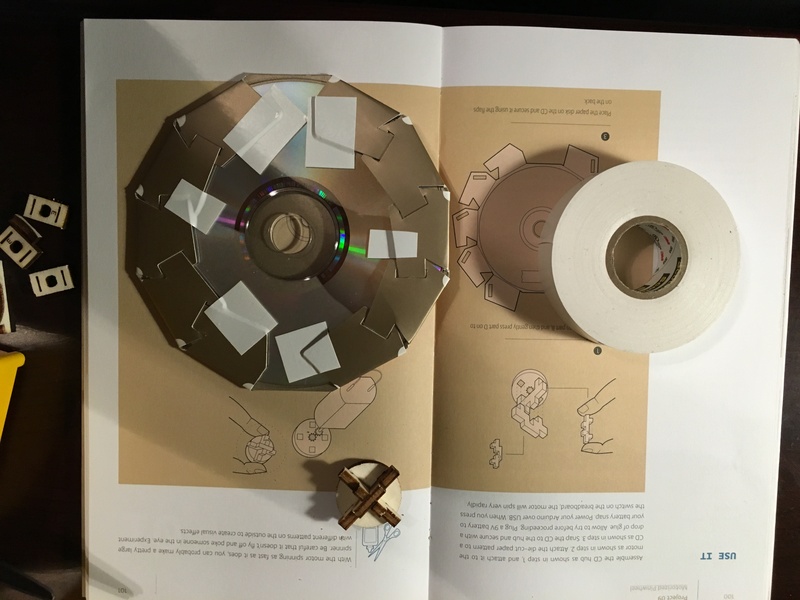 We used a CD as a ridged platform to mount our zoetrope. A wooden assembly was used to mount the zoetrope to our motor. We tested the zoetrope and, though a bit fast, we could see the animation playing through the slits in the side of the zoetrope. 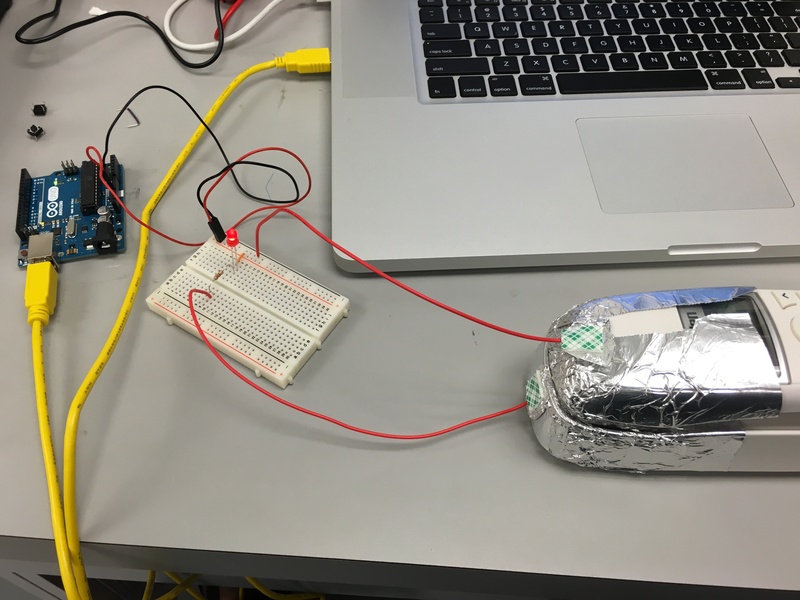 In this lab, we created a simple circuit to control LEDs simulating a spaceship interface. 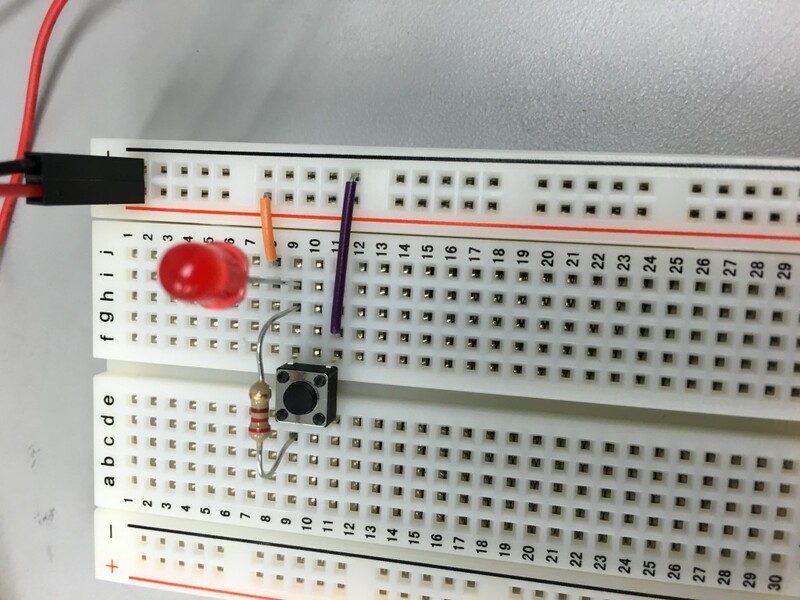 We wired up the breadboard with two red LEDs and one green LED, wired in series through 220 ohm resistors. 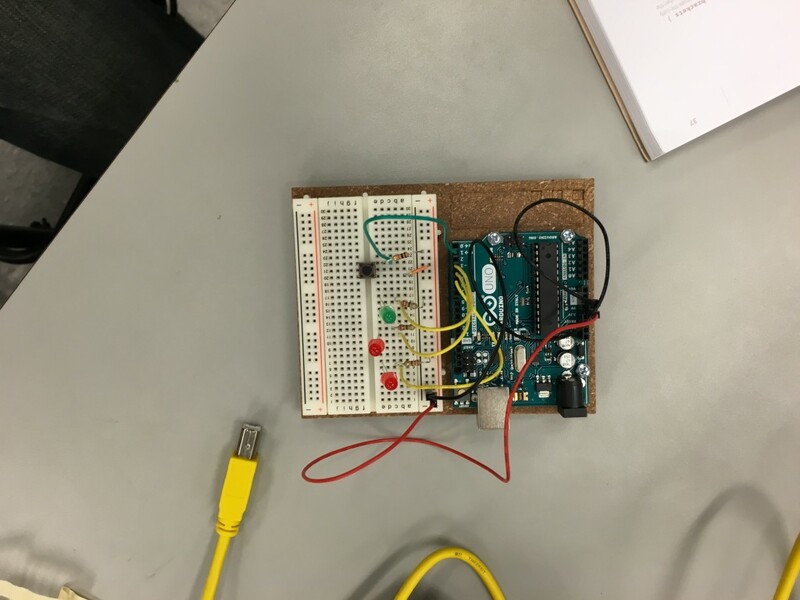 Next, we placed a switch on the breadboard to control the operation of pin 2 on the Arduino. 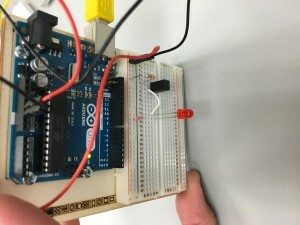 We used a 10k-ohm resistor for the switch which connected to ground when the switch was open and read “low” when there is no voltage coming through the switch. We wrote a short program to control our spaceship LEDs. First we setup pins 3-5 to control output, and pin 2 to accept input. Then, in the main loop of our program we created a condition to check for low voltage output on the switch (input 2). 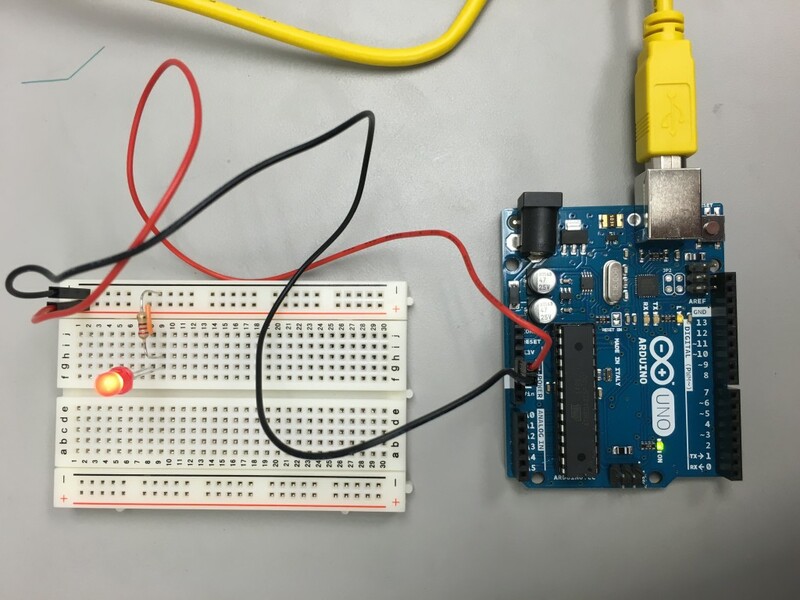 If low-voltage was detected, the LEDs would flash in the proper sequence. 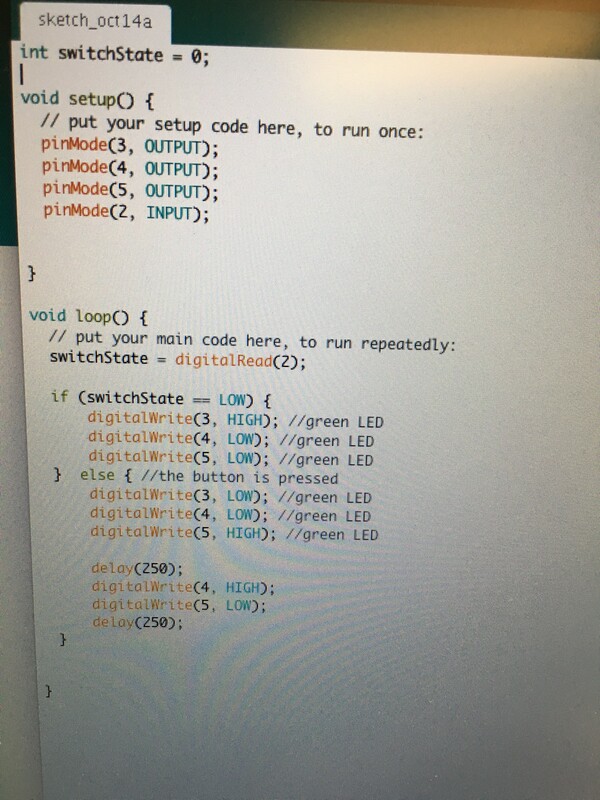 We connected the Arduino to the computer and launched our program in the Arduino software. 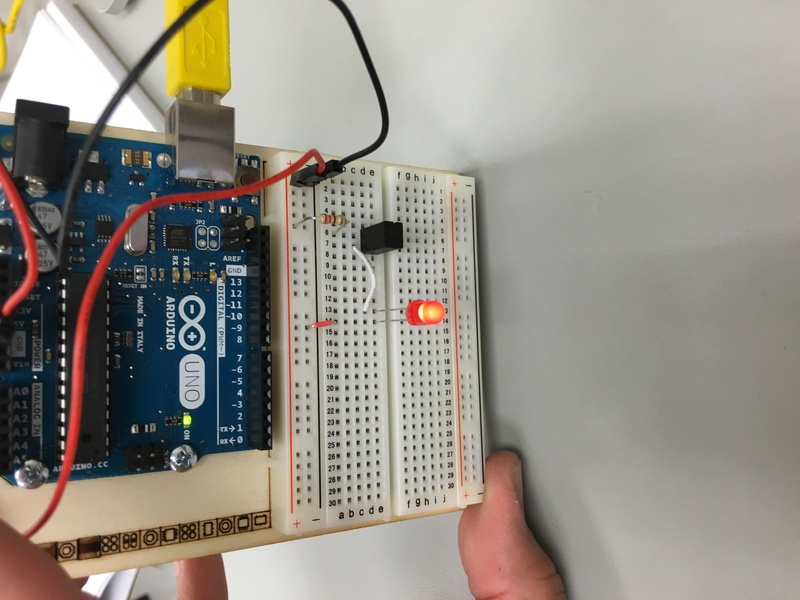 When we press the button on the breadboard, our lights flash in sequence just as we intended. We added a temperature sensor in place of the switch. 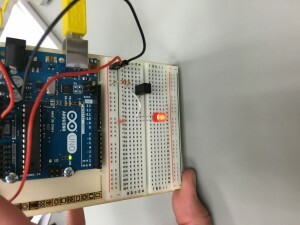 Now, when the temperature sensor is touched, the LEDs will flash in sequence. 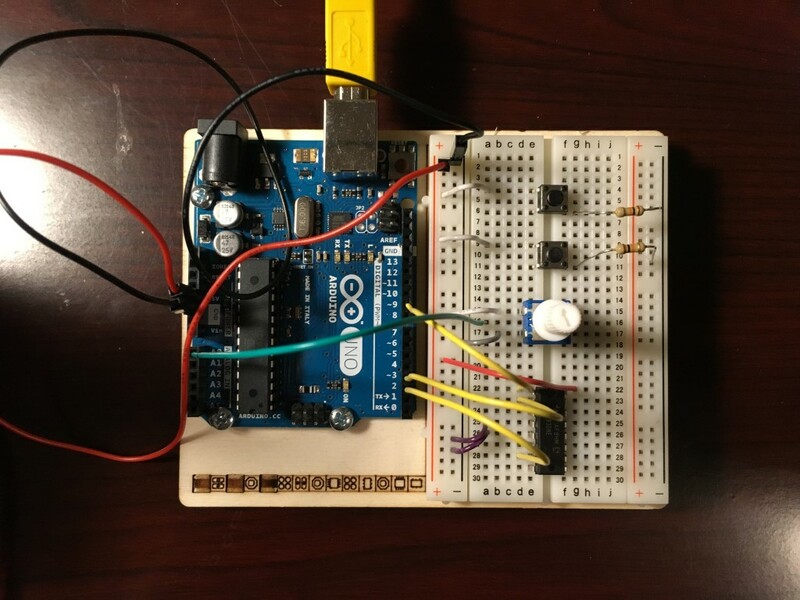 This is also known as the Arduino Love-o-meter project. Donna Hardaway claims that the people of the late twentieth century have become cyborgs, a concept of hybrid machine and organism which blurs the line between reality and imagination. Previously, machines were not capable of self-motivation, self-design and autonomy, but now our machines have become more and more lively and humans have become more inert. This all comes down to a blur in the concept of our identities of gender, race and class. I feel that we have progressed even further down this path now that we are in the year 2015 (Haraway originally wrote her manifesto in 1983). She also criticizes the feminism movement as alienating its audience rather than communicating. I feel that any movement or cause that is trying to achieve influence over other people should make it a fundamental principle not to alienate or leave out other people. I agree with Haraway, and believe that it makes it harder for people to listen or be influenced if they feel alienated. 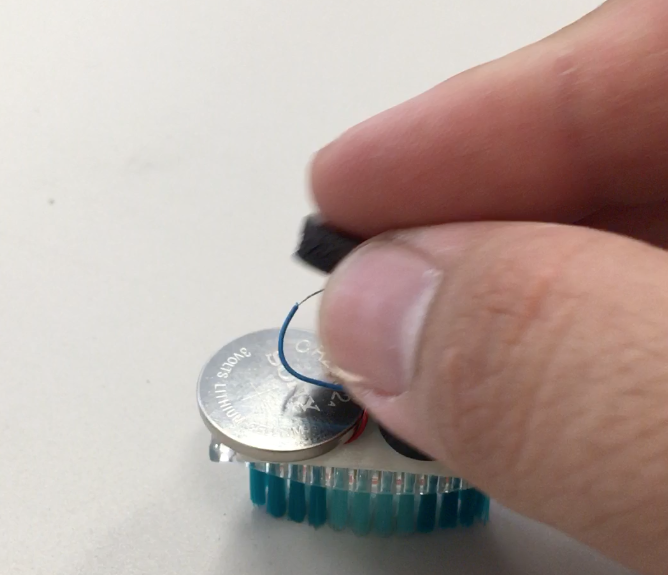 This week in lab we built Bristle Bots, tiny robots made of toothbrushes! They were really simple to make and the result was very cool. 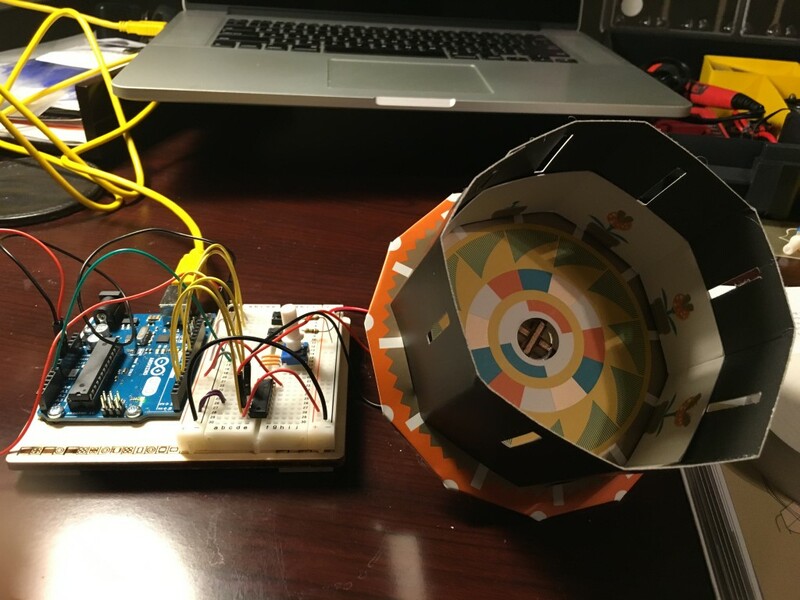 Anyone can make one of these simple robots. Stick some of the double sided foam tape to the top of the toothbrush head. This will give us a platform to stick the other components on top of in the next few steps. 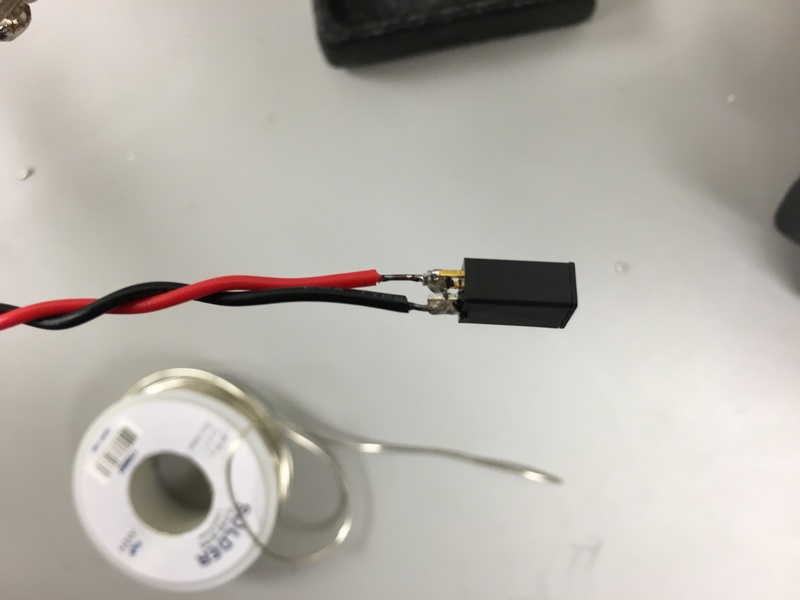 Make sure that you stick one lead from the motor to the bottom of the battery, and one lead will remain hanging on top of the battery so that we can make the connection on and off using the tiny battery. Once you place your magnet on top, the motor will start whirling away. The motor basically makes vibrations, similar to when you put your cell phone on vibrate or silent mode. 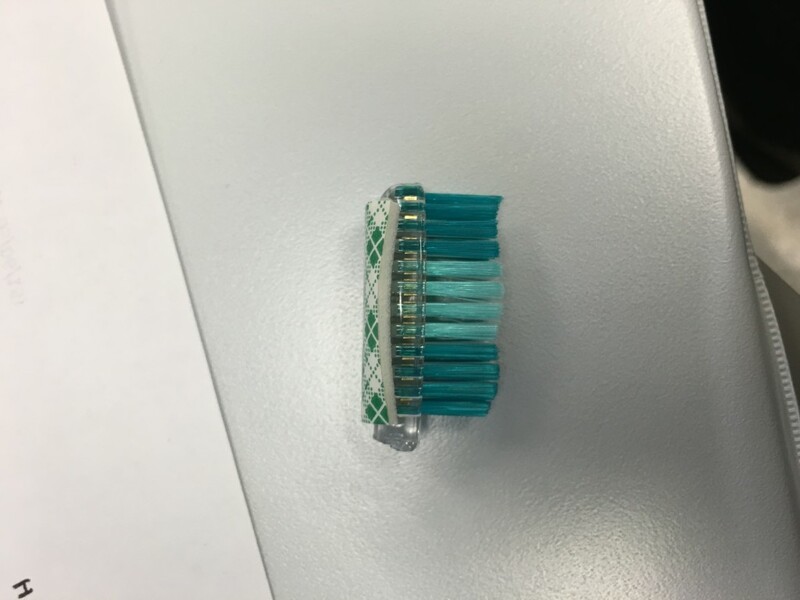 These vibrations transfer through the toothbrush bristles and cause the Bristlebot to move around. 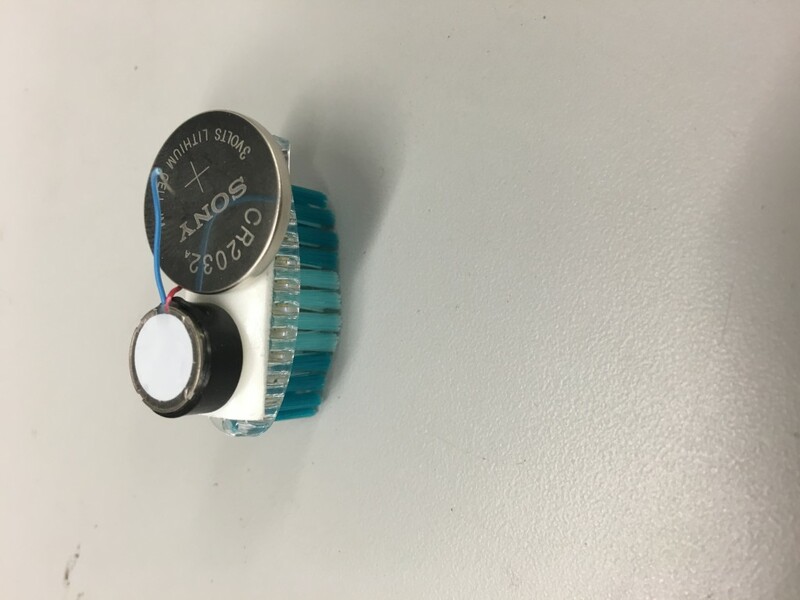 You can optionally add a light emitting diode to your bot. 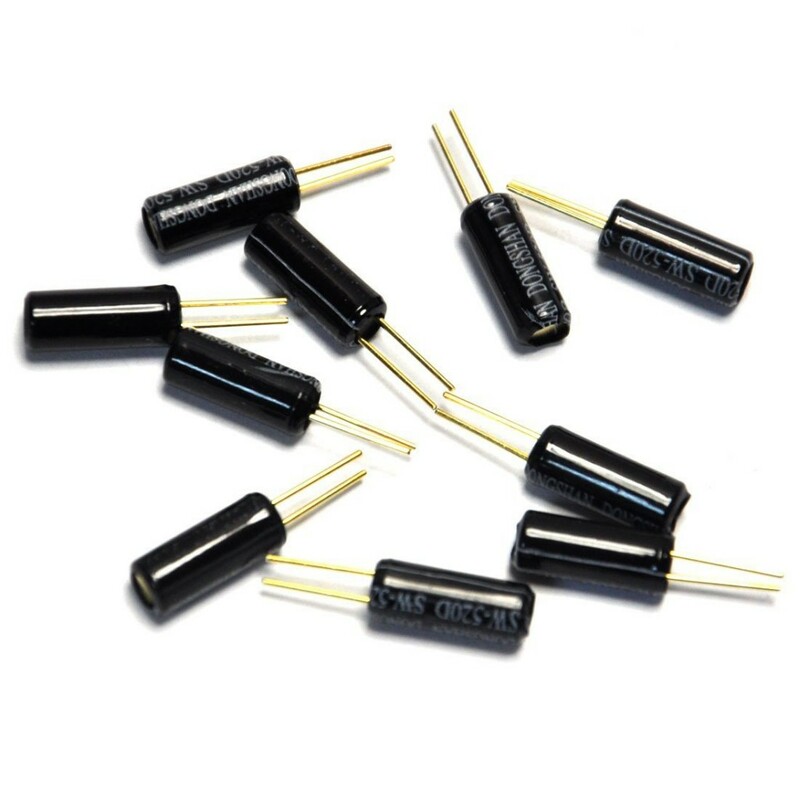 Be sure to follow the correct polarity of the LED when you attach it to the battery. Unfortunately, the LED draws some of the power from the battery, so the motor does not vibrate as strongly and your bot moves around much slower, but it gives your bot a really cool looking effect. 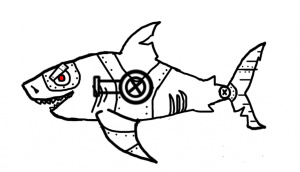 This is what your bot will look like in action! Stay tuned for more fun and interesting labs in the coming weeks, and please comment if you have any questions. A medium is the vehicle for delivering a message, but Marshall McCluhan claims that as technology has evolved, the medium itself has become the message. The author gives an example of how new technology, in this case “automation” by machines, can disrupt social patterns by eliminating jobs in the workplace. At the same time, automation creates new roles and specialization. However, it was not the machines themselves (the medium) that caused this disruption, it was how people used the machines. Electric light is typically a medium without a message, but the information that is transmitted through light is actually another medium, so McClauhan deduces that every medium’s content is really just another medium.